Test officials say the changes will help curb expensive test prep and better assess students, but some experts aren't so sure. Major changes are coming to the SAT. Officials from the College Board, the organization behind the test, announced this week that the new SAT will have an ﻿optional﻿ essay, questions more in line with what high school students learn and will return to a 1600-point scale, among other changes. The changes are an attempt to more fairly assess students and make the test less susceptible to expensive coaching services that give wealthier students an advantage, David Coleman, the president of the College Board, said while announcing the changes in a speech at the South By Southwest Education conference in Austin, Texas. In addition, students from low-income families will receive fee waivers to apply to four colleges for free. Free online test preparation from Khan Academy, an educational website, will be available for all students. 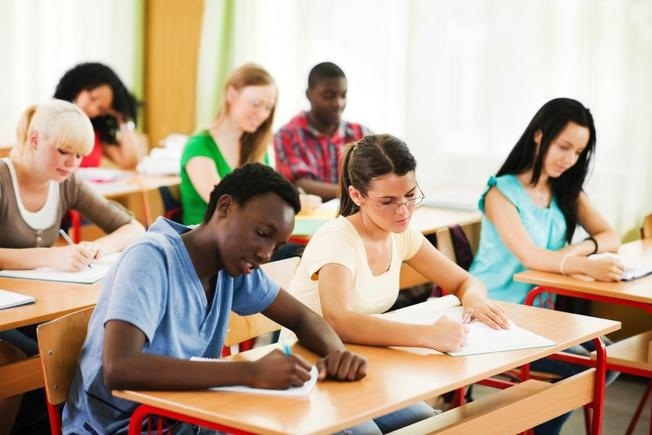 Education experts are divided on whether these changes will help students from low-income backgrounds perform better on the exam. "There is still a strong, direct relationship between family income and test scores,” says Bob Schaeffer, public education director of the National Center for Fair and Open Testing. Schaeffer says that he does not expect that the proposed changes to the SAT will narrow the ﻿achievement gap﻿ between low-income and wealthier students. Although test preparation resources will now be available to all students for free, Schaeffer says there will always be a market for individualized and intensive test preparation – which he says is far superior to what the College Board will be offering. Diana Lebeaux, a curriculum development manager with The Boys’ Club of New York, says the fact that the College Board is offering test preparation signifies that there is still a way to prepare for the SAT and that ultimately low-income students will be at a disadvantage. The organization offers SAT prep to predominantly minority and low-income boys at a nominal cost, among other services. While she thinks some of changes proposed by the College Board are a step toward leveling the playing field, she doesn’t think there will be a big change in removing barriers that prevent low-income students from going to college. "I think it will show the same inequalities," she says. "I think it will expose the same problems with the educational system not equally preparing students for entry into college." It turns out that SAT words were too abstruse. The College Board is updating its iconic test yet again in ways that are indistinguishable from dumbing it down. The old vocabulary words are out, the math is easier, guessing is no longer punished in the scoring — and we’re supposed to believe that the test is better than ever. The SAT, relied on heavily in college admissions, has long been attacked for not producing sufficiently egalitarian results. The multiple-choice test has been accused of everything from racism to classism. The SAT is called an instrument of privilege because students from higher-income families perform better. But parental educational attainment tracks with parental income, and highly educated parents will inevitably pass along their advantages to their kids. It is not in the power of the SAT to change this. The first fallacy is that test prep makes an enormous difference in scores. It bumps them up by about 30 points on average (out of 1600). The second fallacy is that minority kids get no test prep. According to research cited by Inside Higher Ed, slightly higher percentages of black and Hispanic students than white students use test prep, and they make slightly higher gains on their scores on average. The SAT is hardly perfect. It isn’t strictly an aptitude test: The more you read and the more math you know, the better you are going to do. At the end of the day, the problem isn’t the SAT, it’s ourselves. We have to do a better job raising and educating kids. That is much harder than complaining about the SAT, and the College Board can’t do it for us.